This is the second in a series about auctioneers seeing or increasing bids. The first post discussed absentee vs. maximum bids. The last will question the need to see or raise bids if auctioneers know coins in the first place. Nothing prevents Proxibid auction houses from specifying their own absentee bid service terms, apart from the portal, as long as those bids do not go through the portal and happen at an onsite session. If you wish to bid on an item on any of our auctions and can not attend the auction in person, simply email or call Scott Auction and let us know which item(s) you wish to leave an absentee bid on. Your bid will be treated as a Proxy bid, meaning that our staff will bid for you as if you were in the crowd bidding for yourself. The attending bidders will open the bid and our staff will bid for you in the same increments that the attending bidders are raising the bid in. If your absentee bid is the high bid at the fall of the hammer, you will pay what the last bid is on that item. We will not enter your bid as the opening bid and will not raise the bid to your high bid just because we know your high bid. For the entire absentee bid policy of Another Scott Auction, click here. We encourage all auction houses to develop absentee bid policies because they typically cause troublesome issues when two absentee bids are the same (first received usually is honored) or when the potential buyer is vague ($500++). Click here to view a well-developed absentee bid explanation by Amoskeag Auction Company of Manchester, N.H.
Click here to see a sample “Absentee Bidder Agreement” by United Auctioneers, which also conducts online sessions via Proxibid. CLick here to see a sample of a typical online Absentee Bidding Agreement by Landry Auctions of Essex, Mass., which uses the AuctionZip portal. 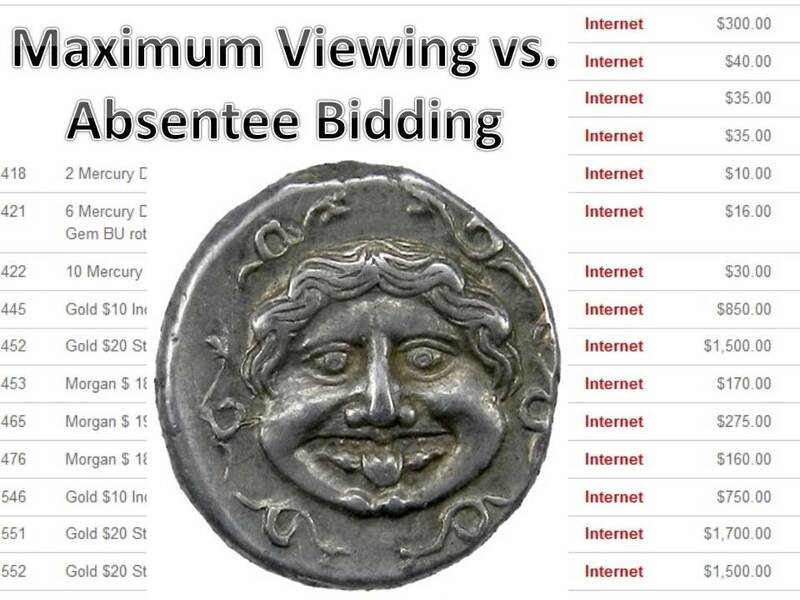 As you can see, absentee bidding is much more complex than viewing a maximum bid via the Proxibid portal, as our first post in this series documented. This is why we disagree with the justification by some auctioneers that maximum-bid viewing is merely absentee bidding. Add another component–the ability of the auctioneer to raise bids at his or her discretion–coupled with maximum-bid viewing. This is the worst of all online worlds that would quickly doom a company’s reputation in onsite auctions, if word got out. In fact, re-read the ethical practice of Another Scott Auction above concerning absentee bidding. Now imagine a Proxibid Auction House that allows maximum-bid viewing and auctioneer bidding. Who would patronize a company with a service term like this below? If you cannot attend the live Proxibid session, just leave a maximum bid via the Proxibid portal. Our staff will monitor the technology and bid for you as if you were in the crowd bidding for yourself–but our intent will be to make the maximum on each lot. For example, if the auctioneer finds that your bid is insufficient, or if the auctioneer figures he can make a few extra dollars, we will jump to the highest possible bid that your maximum allows. You will win the lot only if someone else online or onsite fails to place an even higher bid. Also, when they are available, we will place consignors in the audience who will keep increasing bids. Again, the goal is to generate the maximum amount of dollars for each lot. In the past, we practiced this but now are forced to explain because Proxibid wants an even playing field for its online customers. As you can see, such a service term is hardly appealing. That is why we are appealing to auction houses to end the spurious practices of allowing maximum-bid viewing and auctioneer/consignor bidding. And in our next installment, we will explain why both are not needed if an auctioneer knows coins. This entry was posted in Articles, Best Practices, Featured Updates, News and tagged American Numismatic Association, Another Scott Auction, Auctioneers, AuctionZip, Best Practices, consignor bidding, iCollector, Landry Auctions, Maximum Bid, National Auctioneer Association, Proxibid, Proxiblog, United Auctioneers. Bookmark the permalink.